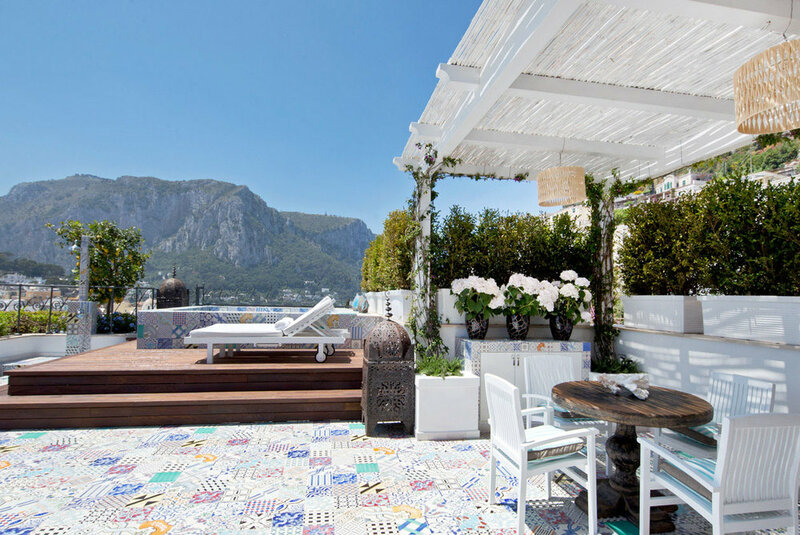 For Interior lovers, Capri Tiberio is offers super chic stylish interiors by Giampiero Panepinto. The hotel is perfectly suited away from the hustle and bustle but five minutes walk from the main square, the famous Piazzetta. Overing 6 different room categories as well as the new ultra exclusive Villa Mediterranea. Guests can enjoy the fabulous inside outside pool, terrace cocktails and the Tiberio Spa. There is also the restaurant open for breakfast, lunch and dinner and Jacky Bar for evening drinks. Voyager Club tip, perks include fresh lemonade on arrival and complementary foot massages in the afternoons.